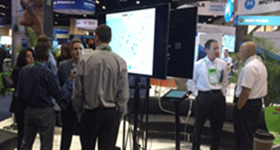 Schedule a demo or ask a question! Is your city’s public safety limited by outdated technologies and mindsets? Are you prepared enough to tackle natural and human made disasters? 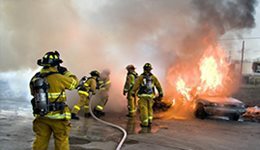 Do you want to enhance first responder safety? Do you want to serve your community better? Do you want to collaborate with your neighboring cities? If the answer is yes, lets talk. 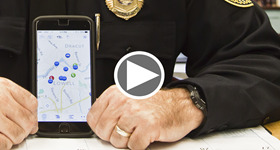 Using PublicEye, a public safety mobile app, on their phones, everyone in public safety from the police and fire chiefs to first responders can collaborate to perform their tasks. PublicEye helps the public safety community to serve their citizens better and safely by utilizing the power and ubiquity of the mobile phone. This vision extends to neighboring jurisdictions working as a seamless unit with the potential of a single connected public safety ecosystem serving a whole region. PublicEye combines 911-call information with situational awareness information and delivers it on a mobile phone or tablet through an easy to use map based user interface. PublicEye is deployed in a number of fire and police departments across the United States. It has been extended for other Smart City applications such as municipal water and waste management. For more information visit IoT2cell.com. The multijurisdiction capabilities of PublicEye enables collaboration between public safety departments as well as other municipal operations. Real-time GPS locations of people, drones, vehicles, etc. Augmented Reality. You have to see this. Your CAD and RMS systems communicate with PublicEye to provide basic 911 and related information. PublicEye adds "augmented information" from other sources and presents it to the first responders on their mobile devices. This map centric CAD agnostic architecture supports advanced features such as multi jurisdiction support, data fusion engine, location based services, smart cities, IoT, Augmented Reality and more. 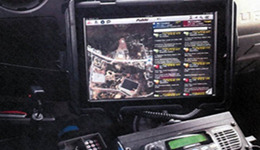 PublicEye was the first product to introduce mobile devices into Public Safety. Now it's pioneering again in the emerging fields of Smart Cities, Internet of Things (IoT) and Internet of Life Saving Things (IoLST). PublicEye is applying its advanced platform to other critical areas such as smart water, waste management, pipelines, etc. PublicEye can be used to manage and automate individual city departments. It seamlessly connects these departments so that critical information can be shared among them. We go one step further by providing bidirectional communication between the city’s residents and these departments. The city works as a single ecosystem. If you're planning Smart City initiatives please contact us for more information. We can help. ClickTap to hear Chief Wiggin’s thoughts on PublicEye. "Our engine can move out, supported by turn-by-turn directions after just one touch on the 911 call object on the map. Before we get there, we can even see photos and videos of the fire Tweeted by the residents and the neighbors. I cannot overemphasize the value of having another jurisdiction’s information in the hands of our first responders." ClickTap to hear Chief Achilles thoughts on PublicEye. "An important aspect of a fire department is the ability to celebrate your traditions and still maintain the idea of innovation. PublicEye®, for us, is the most recent innovation we’ve had. It’s a technology that’s come at the right time." ClickTap to hear Chief Taylor's thoughts on PublicEye. "I have come to rely on the PublicEye platform daily. It’s really been a companion to me and allows me as the police chief to very effectively monitor my organization wherever I happen to be." ClickTap to hear Chief Midgley’s thoughts on PublicEye. "Part of the problem as chiefs is, were not in the building 24 hours a day, 365 days a year. So having this resource available to us, in a nice small package that’s very easily accessible, is crucial to us. It’s something that I think is going to be beneficial to the fire service as we move forward in technology." Read or Watch to learn about PublicEye. PublicEye is a product that runs on every major smartphone and tablet. PublicEye provides collaboration, situational awareness, data fusion and many operational tools. Features include mapped objects such as 911 calls, real-time alerts, video surveillance and streaming, digital radio, multi-jurisdiction support, CAD, RMS and Twitter integration. "With the iPad…[officers are] getting the information much quicker than they used to. This information is vital to the decisions they make so they can make fast, reliable, quick decisions at a moment’s notice." "Anything that they needed to do remotely was all done from the device running through the PublicEye software. So this gave us an entire new dimension for the Boston Marathon that we never had before." The fire department in Pelham, NH has deployed PublicEye to their fleet of Toughbook laptops, bringing new features to their previously underutilized devices. "We've gone from a system that was worth its weight in gold, to a system that now functions worth its weight in gold!" Superintendent Bill Taylor of the Lowell Police Department recently sat down with us to discuss his experiences using PublicEye. Learn why he says, "I have come to rely on the PublicEye platform daily. It’s really been a companion to me, and allows me, as the Police Chief, to very effectively monitor my organization – wherever I happen to be." StateTech Magazine profiled three government agencies using mobile technology to enhance their work. 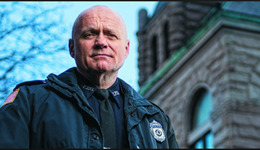 Craig Withycombe of the Lowell PD is featured, sharing the benefits of PublicEye® for a mobile police force. “Our officers want iPads because they allow them to be much more mobile,” he says. A small Rhode Island town is shaking up their approach to public safety. In an article in the Valley Breeze, The Smithfield Fire Department discusses their decision to upgrade to iPads equipped with PublicEye. “[PublicEye] has come a long way in helping public safety,” said Fire Chief Robert Seltzer. Multijurisdictional support is one of PublicEye's exclusive features. We interviewed Scott Wiggin, Chief of Bedford FD and Mark Boynton, Chief of Amherst FD. These two New Hampshire towns share a border, and both have implemented PublicEye on their phones and tablets. The Department of Homeland Security, FEMA, the US Army, the National Guard, and emergency responders came to New Hampshire to participate in one of the largest emergency exercises of its kind – and PublicEye was there providing video streaming and communications support. 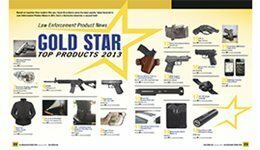 Law Enforcement Product News released its Gold Star Top Products of 2013 and PublicEye is on the list! The criteria for the top twenty products is based on the most popular inquiries from its readers. We're very honored to have been one of the most requested products of the year! Our team went to IACP 2014, the largest law enforcement conference in the world! This year we unveiled Publiceye in the Cloud, our new solution hosted on the Microsoft Azure Government Cloud. We were also showcased at the CDW booth, and Segway displayed their i2 Patrollers armed with PublicEye. At the 2014 Boston Marathon, the Brookline Police used PublicEye on iPads and phones to view real-time 911 calls, stream live video, and view the locations of their officers. They were even able to view Athenx Rapidly Deployable Camera surveillance feeds right from their PublicEye devices. A CITEWorld article examines why the Bedford Fire Department in NH chose to update their aging technology with iPads armed with PublicEye. "I can't stress how much it has made things much more efficient for the fire department to do it this way," said Lt. Lambert of Bedford. 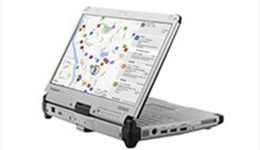 The groundbreaking PublicEye mobile platform is now expanding to Toughbook computers! Its unprecedented power comes from leveraging today’s mobile devices. PublicEye runs on your existing ruggedized computers, and all iOS, Android, or Windows 8/RT devices. Visit our events page to sign up for a web demo - or fill out the form below to learn more about PublicEye.